MANILA, Philippines — Philippine journalists took to the streets Friday in support of a news website facing state-enforced closure, accusing President Rodrigo Duterte of trampling on press freedom. The government withdrew the corporate registration of the Rappler website this week and has summoned its chief executive to answer a "cyber-libel" complaint in what media watchdogs describe as payback for critical coverage of Duterte's deadly war on drugs. About 200 journalists and activists, most of them wearing black, gathered in northern Manila at dusk to protest the ruling, seen by critics as Duterte's latest bid to stifle opposition to his narcotics crackdown. The protesters carried banners saying "fight the Duterte dictatorship" and "defend press freedom". Duterte's spokesman Harry Roque said in a statement that the demonstration showed "that freedom is alive and democracy is alive in the Philippines". Rappler, founded in 2012, is among a handful of Philippines-based news organizations which had produced reports critical of Duterte's flagship "war on drugs" that the government says has claimed the lives of nearly 4,000 suspects. Human rights groups charge that thousands more have been killed by shadowy vigilantes. The government's corporate regulator alleged that the news organization violated a constitutional ban on foreign ownership of local media when its parent company issued Philippine depositary receipts for Rappler shares that were sold to a foreign fund. Rappler maintains the investment did not constitute equity nor give the investors veto on editorial matters and has vowed to fight Monday's ruling, which takes effect after 15 days. Rappler has had a testy relationship with Duterte since he won election on an anti-crime platform in 2016, with the Philippine leader threatening last year to expose the website's "American ownership". Duterte has also publicly attacked other media outlets that have criticized his policies, including leading daily the Philippine Daily Inquirer and major broadcaster ABS-CBN, threatening to block the TV station's application for a franchise renewal. 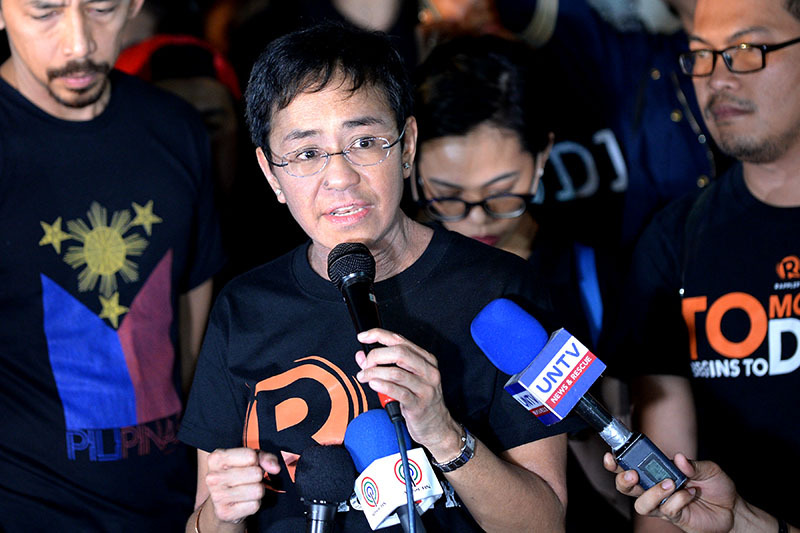 Apart from the loss of its corporate licence, Rappler's chief executive Maria Ressa faced a second challenge after she was summoned by the justice ministry to answer a cybercrime complaint against her next week. The complaint was filed by a businessman, who accused Rappler of libel for reporting in 2012 that he lent a luxury van to then-Supreme Court chief Renato Corona who was later impeached for failing to declare his assets. Ressa said the charges against Rappler were part of a "fishing expedition" to find any legal basis to attack the news site. "This administration's laws are being used to stifle Rappler, a group of journalists and press freedom," she told AFP. "The end goal of all of this is to intimidate us into silence," she said.